The long anticipated Dena Kirkpatrick: One Smooth Motion DVD barrel racing training set from Classic Equine. Dena Kirkpatrick has trained barrel horses for 25 years, producing countless top caliber horses including Lindsay Sears' mare Sugar Moon Express (Martha). Dena also held a spot on the Top 10 Futurity Trainer's list for 10 consecutive years. 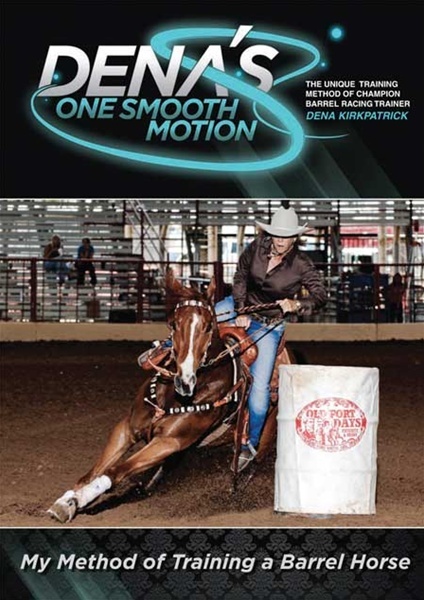 This complete 5-disc DVD set demonstrates Dena's proven methods with nine different horses, all at different stages in life from a 2-year-old on the ground to a 6-year-old being seasoned at a rodeo.